Leading Manufacturer of insulated pool covers, insulation slab, removable insulation cover, fiberglass roll, insulation cover and thermal and acoustic insulation material from Vadodara. We feel proud to introduce ourselves as the leading manufacturer and supplier of a superior quality Insulated Pool Covers and are known for our fine quality fire safety products. The offered covers are made from quality raw materials by using technology and well-installed machinery at our efficient manufacturing unit. Clients can avail this insulation pool cover from us at nominal prices in a given time frame. 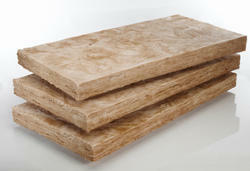 We are leading names engaged in supplying Insulation Slabs that are procured from the reliable vendors of the market. Insulation Slabs are manufactured using quality tested material that suitable for both high and low service temperature. Being ideal for flat or slightly curved surfaces, these slabs are widely used for Thermal Insulation of Ducts, Large Vessels, Cavity Wall, Curtain Wall Sandwich Panels. 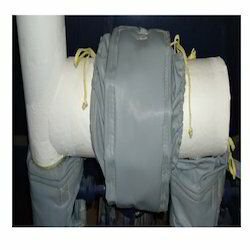 With rich industry experience and knowledge, we are engaged in the business of trading and supplying a qualitative assortment of Removable Insulation Cover. The products offered by us are widely demanded by the client for their brilliant features. Leveraging on our domain expertise, we offer our esteemed client's with a wide range of Fiberglass Roll. 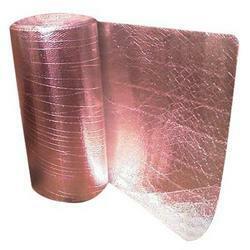 These are reflective insulation materials and available in roll form that is coated with aluminum foil. Our range helps provide maximum low admittance & high reflectance whilst ensuring excellent mechanical strength. For the assorted needs of our precious customers, we are involved in manufacturing and supplying an excellent array of Insulation Cover. Our insulation cover is acclaimed in the market for its high insulating ability. 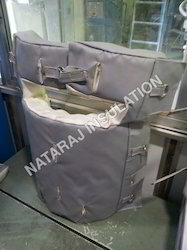 This insulation cover is manufactured from the high-quality material & modern techniques keeping in mind the set standards of the industry. It can be availed in different sizes as per client needs at market leading market price with no hassle. A full inventory of Tracer/Velcro wraps in 20ft. rolls and sized to cover 0.5" to 4" tubing. As a complete vendor base organization, we are engaged in manufacturing and supplying of Thermal and Acoustic Insulation Material which is a reflective insulation material that is available in roll form. The surface of our insulation roll is coated with aluminum foil for giving maximum low admittance and high reflectance. 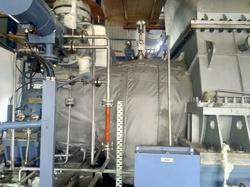 The use of aluminum foil in our insulation roll also gives it mechanical strength. We are the manufacturer and supplier of Insulation Pipe Cover provide rigidity to workers and users. Our Insulation Pipe Cover is applied to protect the pipe from high temperature in diverse industries including food processing, chemical pharmaceutical. This product is thoroughly checked on several parameters by our quality analyzer under the guidance of skilled professionals who are perfect in this field range is available in different specifications as per the requirements of our clients. 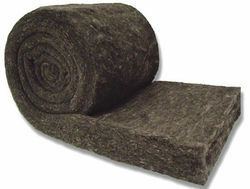 We are offering Acoustic Insulation Material.